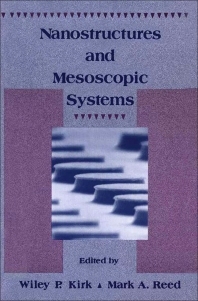 Nanostructures and Mesoscopic Systems presents the proceedings of the International Symposium held in Santa Fe, New Mexico on May 20-24, 1991. The book discusses nanostructure physics; nanostructures in motion; and advances in nanostructure fabrication. The text also describes ballistic transport and coherence; low-dimensional tunneling; and electron correlation and coulomb blockade. Banostructure arrays and collective effects; the theory and modeling of nanostructures; and mesoscopic systems are also encompassed. The book further tackles the optical properties of nanostructures. Can a Device Be Made with Atomic Precision? On the (Poor) Luminescent Properties of Quantum Dots: An Intrinsic Effect?